As you can imagine, and may already experience, minimally performing and partially effective contact center technologies are like pouring salt on an open wound for contact center execs and their teams. Being mindful with your contact center IVR and WFO strategies will help you get better at the things you care about for your business. Listen to your WFO and IVR. They can reveal new ways to improve. It’s tempting to “set and forget” certain technologies – especially the workhorse systems that operate quietly and reliably in the background. Systems like your contact center’s interactive voice response (IVR) and workforce optimization (WFO) solutions are prime candidates. Only 32% of respondents consider their IVR system to be fully optimized. Only 35% strongly agree that major components of their WFO suite are optimized. Many factors may be holding you back from an optimized IVR and WFO. But there’s danger in the lack of mindfulness in these areas. Think competition, cost and customer complaints – that’s salt in a wound with a splash of habanero juice. To overcome the pain, you have to be present and raise awareness of things that are so easily overlooked. Only 37% of respondents are motivated to implement or update their IVR to improve their differentiation in the market, personalize the customer experience and increase their revenue potential. Why such a small percentage? They don’t have an IVR. Their current system is basic, poorly performing or outdated. Their on-premise implementation (compared to a cloud-hosted, subscription-based solution) requires too much money, time and IT resources to optimize with updated functionality. They haven’t seen significant value to date that impacts other areas and issues, and don’t see how that would change if they invested more resources to this channel. A similar situation exists regarding WFO technology. Exciting innovations continue to raise the value of IVR and WFO technologies that increase opportunity to help your customers and staff meet evolving needs in more efficient and intelligent ways. By tapping the newest capabilities, you can create powerful assets for your contact center that eliminate gaps that underperforming technology can cause. We’re talking healing wounds here, and creating a state of awareness that leads to positive impacts on your KPIs, SLAs, and top and bottom lines. Uses sophisticated analytics to evaluate millions of data points to recognize and respond to individual needs in real time, and to create reports that can indicate bottlenecks, recurring issues and trends. On a per-caller basis, the IVR captures, tracks and learns from each interaction. So what does this mean for the 68% of enterprise execs who admittedly don’t have an optimized IVR – with many of them (65%) who don’t have an optimized WFO solution either? These numbers send out red flags. Eduard further explained in his TedTalk that many leaders keep themselves in the performance zone and forget about the learning that needs to occur to more purposefully round out skills and function that can be better applied in the performance zone. This is a mistake many high performers can admit to. “So the way to high performance is to alternate between the learning zone and the performance zone,” – as Eduardo stated – is certainly true for contact center leaders. Specifically, you can exponentially increase the returns from optimized IVR and WFO technology by integrating them. For example, the flow of information from the IVR to the WFO helps your agents by offering smart knowledge management routing recommendations and script guidance. In the other direction, analysis of speech analytics from the WFO can identify areas of need that are repeated across callers. These recurring issues point to areas for tuning in the IVR. By adding new menu options or tweaking existing ones, callers can more readily complete the interaction via self-service and avoid costly transfers to an agent. The ability to combine both sets of analytics in a single view or report empowers contact center executives with visibility into the full customer journey. Sticking to the status quo – what you know or feel you can manage today – can hurt you. It can impact your contact center operations in both the short and the long term – resulting in high costs, overworked agents and dissatisfied customers. Optimization can pay huge dividends. 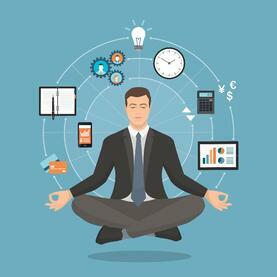 By the way, being mindful is also about pausing and doing nothing to clear your mind and keep on the right track. Mindfulness expert Andy Puddicombe cited in his TedTalk All it takes is 10 mindful minutes – referencing a Harvard Study. That’s a clear sign to slow down and smell the roses. It’s also a sign that we are all so bogged down with tasks at hand and in the works, that it’s time to step back and be more mindful of the opportunity to improve results and performance. This article probably took about 5 minutes to read. Eduardo’s TedTalk takes another 11 minutes to watch. Andy’s TedTalk takes just under 10 minutes. Over 9 million people have listened to these two TedTalks. The Forrester study below should take you under 10 minutes to read. 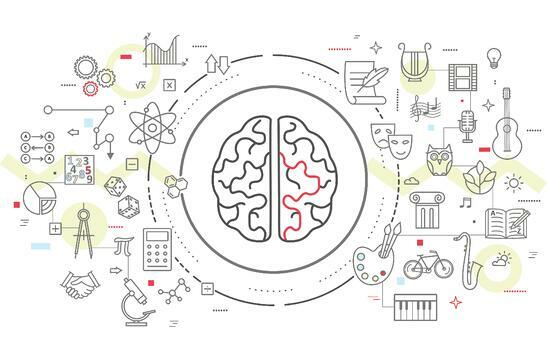 That’s a brief investment of mindful time to optimize results in the learning zone. * Forrester Consulting. 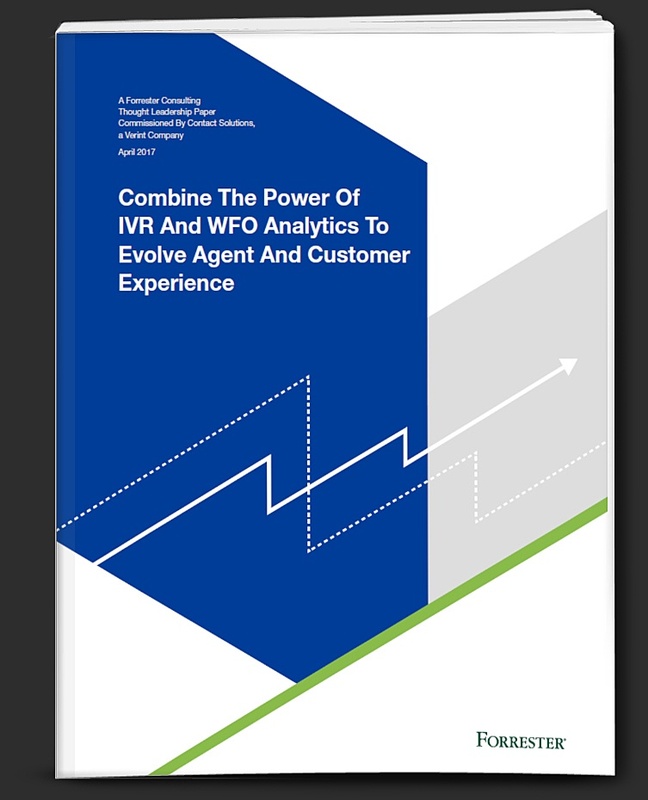 Combine The Power of IVR And WFO Analytics to Evolve Agent And Customer Experience. May 2017.